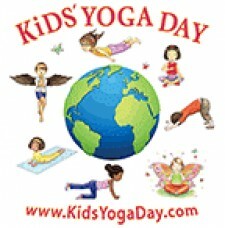 LOS ANGELES, CA, April 5, 2017	(Newswire.com) - Celebrating both oneness and diversity, 40,000 kids from 45 countries and all 50 states are set to perform yoga on April 7 at 11 a.m. in their local time zones for International Kids’ Yoga Day (KYD). Starting in the South Pacific region, kids will do five minutes of yoga with their teachers and then symbolically pass the baton westward to kids in the next time zone as the world’s children surf a yoga wave around the globe to a Hawaii finish at 11:05, Aleutian Standard Time. The rally is free and features a kids concert, yoga classes, giveaways and a proclamation from the L.A. County Board of Supervisors to KYD founder and award-winning author Teresa Power spotlighting Los Angeles as the founding city of a global movement to bring yoga and mindfulness to the world’s children. About Stafford House Books, Inc.
Stafford House Books, Inc. is committed topublishing quality books to enhance children's health and fitness through the practice of yoga.